The writers’ association PEN Català, along with the president and the executive director of PEN International, among others, denounces the excessive restrictions on the right to freedom of expression resulting from the disproportionate charges of rebellion and sedition filed against civil society leaders Jordi Cuixart and Jordi Sànchez, who have been held in pre-trial detention for over a year for having peacefully expressed their political views. 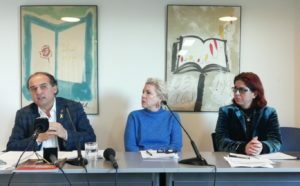 In a communiqué released on Monday that is signed by PEN Català and the signatories listed below, the organisation stresses that Catalans are being persecuted – “in a way not seen since the Franco dictatorship – for different artistic expressions, clearly attacking the right to freedom of expression and its different forms of artistic expression”. According to the organisation, PEN’s Founding Charter defends “the free circulation of ideas within each country”. “According to this principle”, the statement reads, “members are to refuse any form of suppression of freedom of expression in the country or community to which they belong, and oppose arbitrary censorship in time of peace”. 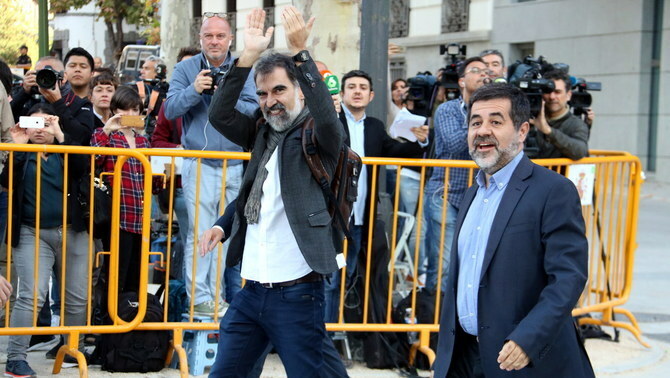 Thus, PEN calls on the Spanish authorities “to drop the charges against Sànchez and Cuixart and to release them immediately. Beyond having expressed their ideas peacefully, they have also ensured, from the organisations over which they preside, the free circulation of ideas of writers in Catalonia,” the statement concludes.